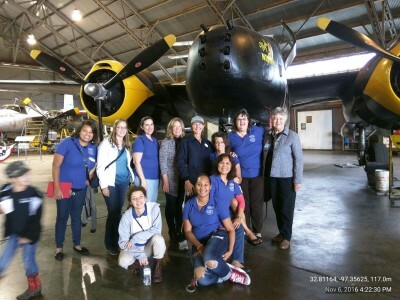 The Ninety-nines promotes the advancement of aviation through education, scholarships and mutual support while honoring our unique history and sharing our passion for flight. 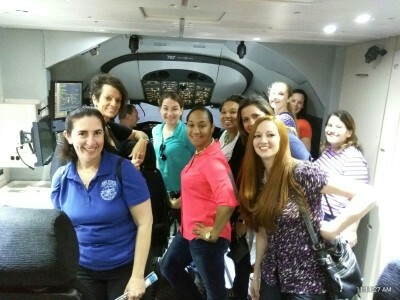 For advancement of women in all pilot professions, facilitate dynamic mentoring, & enhance leadership role in the aviation community. The program provides highly motivated 99s with the tools to develop their careers and leadership abilities. 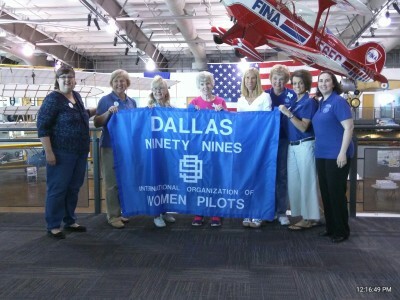 THE NINETY-NINES, INC., is an international organization of licensed women pilots from 35 countries - we currently have thousands of members throughout the world. We are a non-profit, charitable membership corporation holding 501(c)(3) U.S. tax status. Our International Headquarters is located in Oklahoma City, Oklahoma. 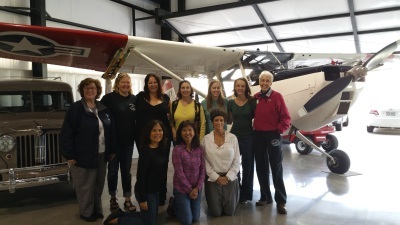 Although there are other female pilot organizations in various states and nations, virtually all women of achievement in aviation have been or are members of The Ninety-Nines. 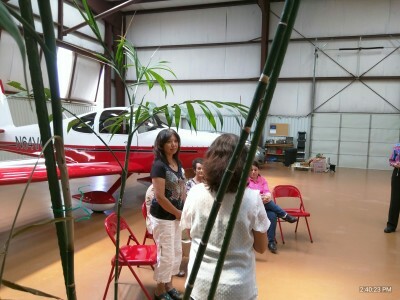 Our Holiday Gathering was hosted by Charles and Melissa Cook at Flying Oaks airport (2TE2). The fun just never ends! 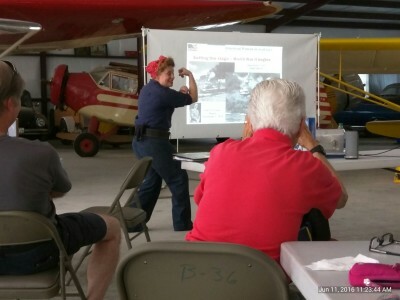 With a potluck dinner, Chinese Gift Steal, and Charles’ aerobatic airshow in his biplane. 99s make their own fun and conduct business while doing it. 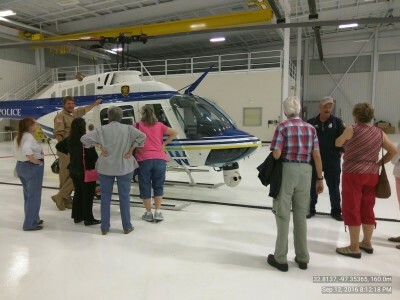 Northwest Regional (52F) was the place to be for our 1st annual hangar party/ music Fest Fundraiser Event (Silent Auction)! 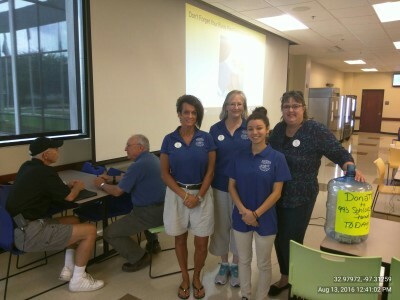 We raised over $600.00 to contribute to the Chapter’s Scholarship Fund. 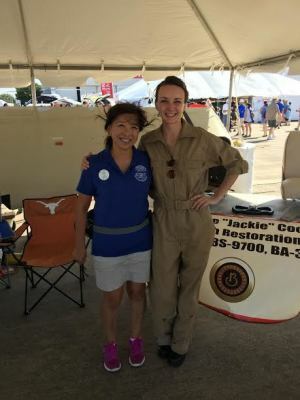 Fort Worth 99s participated in the Bell Helicopter Alliance Air Show (KAFW), for its 25th anniversary celebration. 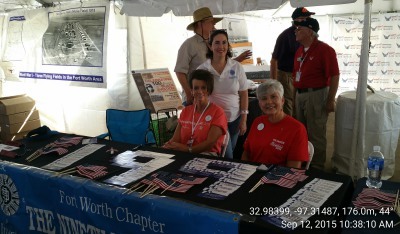 Our 99s had a table located in the Discovery Zone as a part of the FW Aviation Museum team. Kids, as well as lots of adults, had a blast! 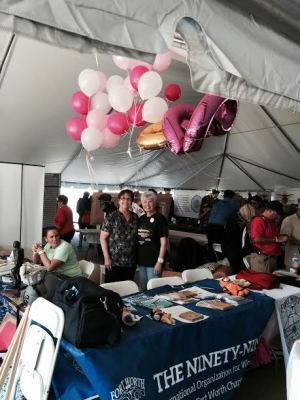 Approximately 120,000 people attended over the weekend. 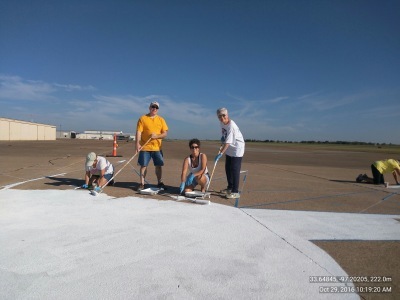 With the USN Blue Angels, Breitling Jet Team and beautiful weather, it was a HUGE success! 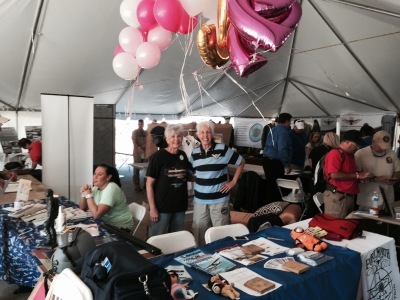 Monica Graham, Jo Ann McCorkle, and Carol Levine provided information to the public about aviation and the 99s Day 1. 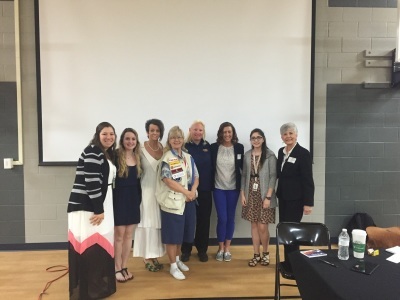 Monica Graham, Shanna Shaw, Julie Carson (pictured) along with Aileen Hummel, and Allison Hoyt of the Fort Worth 99s spoke about being a pilot and the 99s organization with many kids and adults throughout the day. 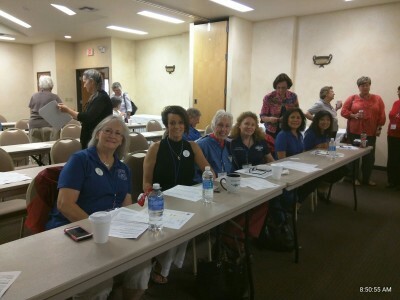 99 SCS meeting held in Santa Fe was attended by several FW chapter members. Our members enjoyed an evening of networking at the Friday Night reception held at the Underground Art Gallery. 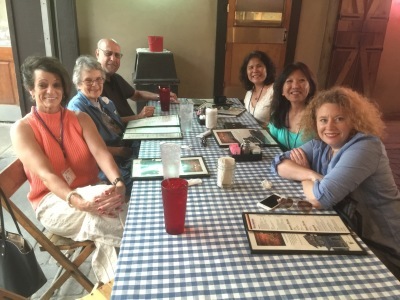 Pictured: Aileen, Angela, Nan, Monica, Lisa, Wally and Patty. 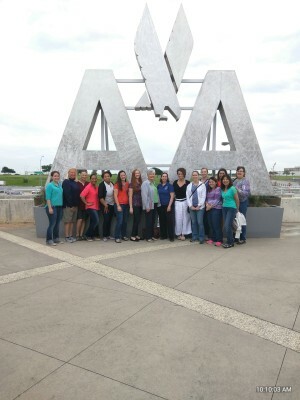 Jim Hodgson, Executive Director of the FW Aviation Museum hosted our tour and educated us of all the aviation history in Fort Worth. Impressive!! 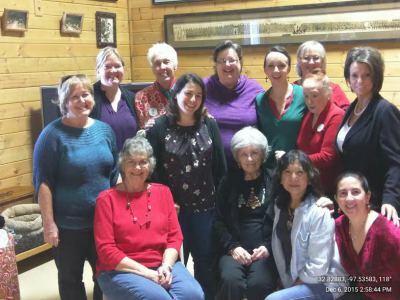 We then held our chapter meeting. 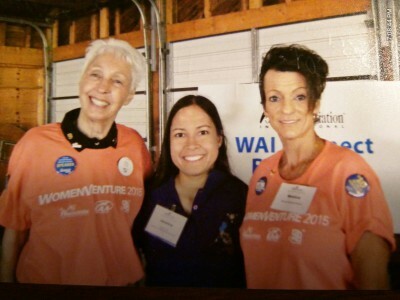 Wally, Jessica Cox (speaker at WAI breakfast) and Monica enjoyed conversation and a pic. 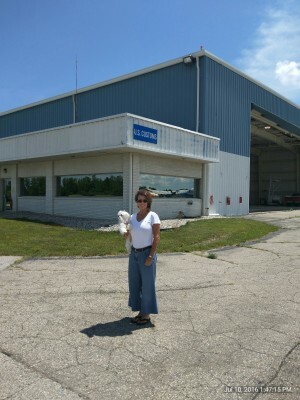 Julie is one of our new student pilots in this last year. 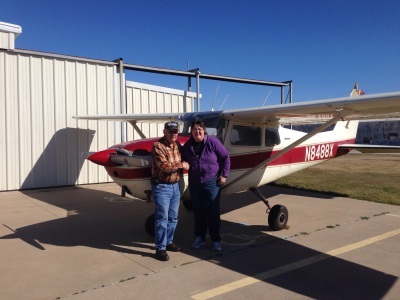 Instructed by sister 99, Lisa Ward, she accomplished her solo flight on October 1, 2015 at KFWS. 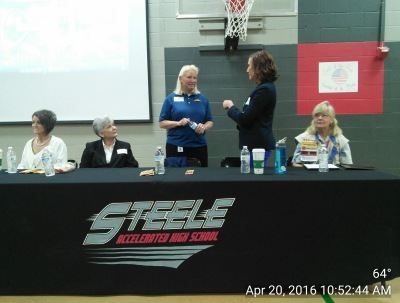 Way to go, Julie!! 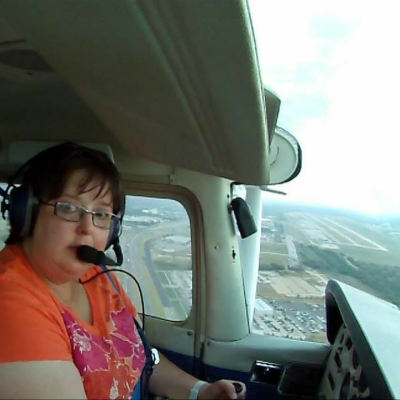 Thanks to Lisa for setting up the camera in the cockpit for Julie’s solo flight! 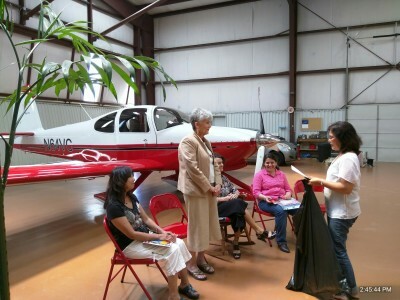 Dr. Monica Randolph-Graham instructed by sister 99, Tamara Griffith and practical exam (check-ride) completed with examiner Mary Latimer (99) was presented a $250.00 award for completion of her Private Pilot License. 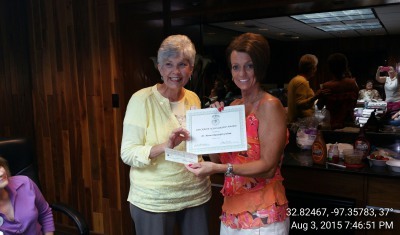 Check presented by chapter scholarship chair Joann McCorkle. Julie Carson passed practical exam today!! Her examiner Lou Fournier gives congratulatory handshake. Go Julie!!!! 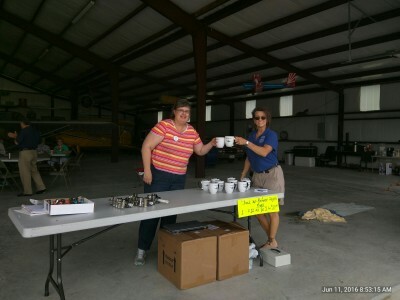 Shana Shaw and Monica Randolph-Graham - flew in Monica's 1969 polished C150 to represent the FW 99s at the Antique Aircraft Association fly-in at KGLE in Gainesville, TX,. 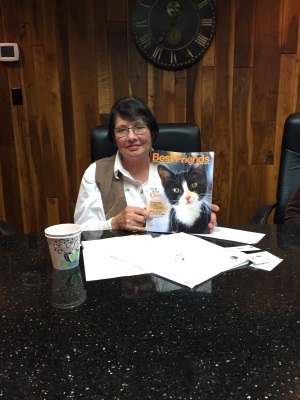 Jane Crowder, Founder of Pet Flight was guest speaker at the 99s monthly meeting on February 1, 2016. 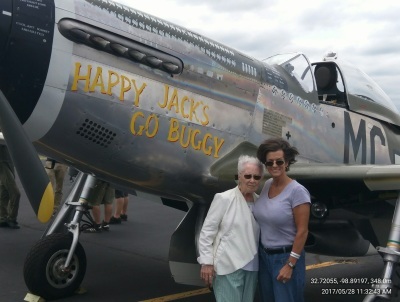 She discussed her flying career, start of Pet Flight and current status of this wonderful service. 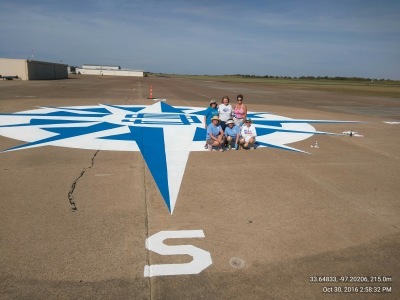 Dallas 99s invited FW chapter to help paint Compass Rose at Gainesville airport. 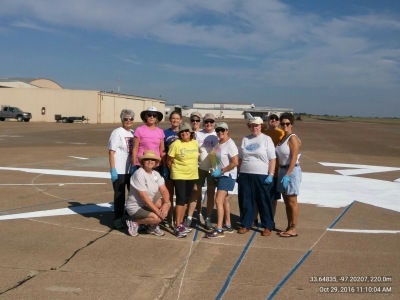 Monica of FW Chapter made it to the end...her blisters had blisters, but tons of fun!!! 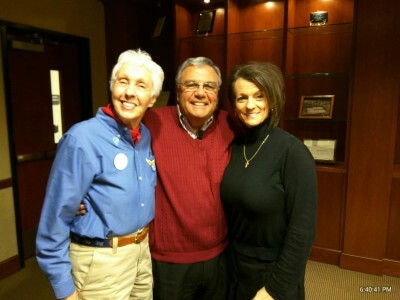 Fall SCS meeting in OKC... lots of fun for Wally, Monica and Fritz. 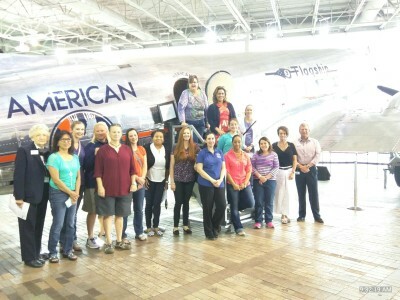 Monica's Friend, Sid Mayeux, B777 Ground School Instructor arranged a tour of CR Smith Museum and personally provided a tour of American Airlines training Academy where he tours. Thanks Sid!!! 787 Dream Liner SIM... incredible! 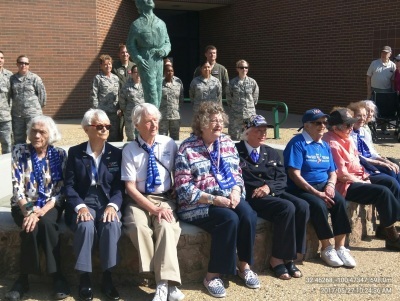 Students who arranged and coordinated this day stop for a photo with the FW 99s. 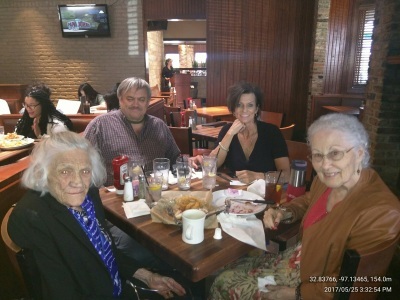 On left End, Nicole arranged the day with Monica as they knew one another. Thanks for a great day Nicole! 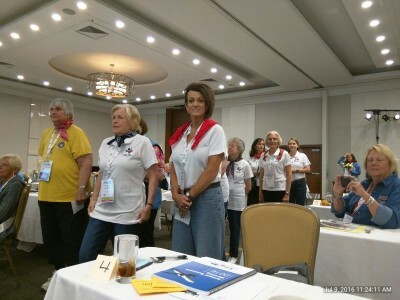 Outgoing Chair, Aileen Hummel installed Monica Randolph-Graham as new chapter Chair in her fun way! Joann performed her first duty and places the Crown on Monica's head! 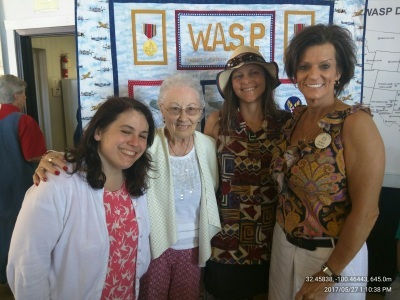 JoAnn McCorkle installed as Vice-Chair and provided tools "out of Aileen's black bag" to take on her Do-It-as-assigned role! 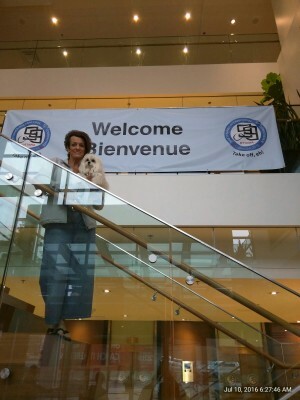 Go JoAnn!!! 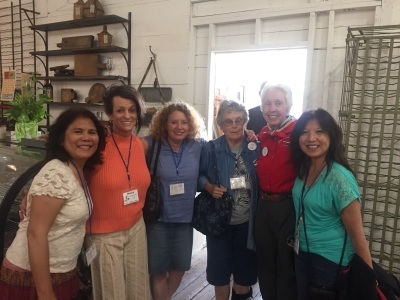 Ann Jeffery, Historian; JoAnn McCorkle, Vice-Chair, Monica Randolph-Graham, Chair, Tahereh sat in for new Secretary-Julie Carson; and Aileen Hummel, Treasurer. Beautiful RV10 in background! 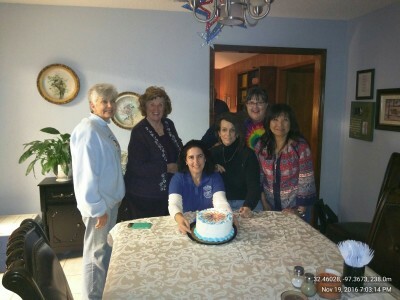 Chapter Officers for 2016-2018 Installed and now, what better way to celebrate than surprising the out-going Chair Aileen with a birthday cake by new chapter Chair, Monica. Aileen was about to take a big bite!! Great day!!!! 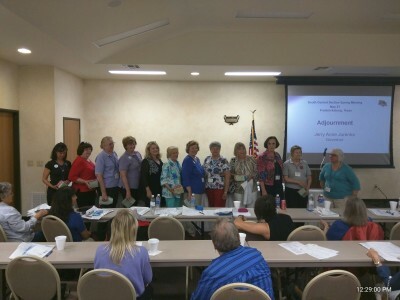 Ann Jeffery was installed as Chapter Historian! She has a big job ahead but Aileen provided her with some tools (out of her black bag) to make the job a little easier. 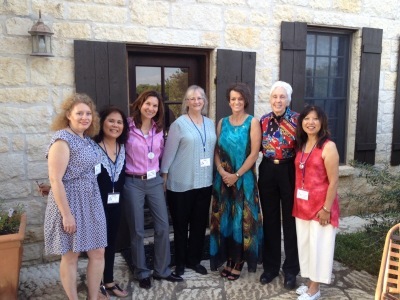 Aileen Hummel, Monica R-G, Lisa Foster, Ellie Block, Wally and Ann Jeffery attend the opening reception. 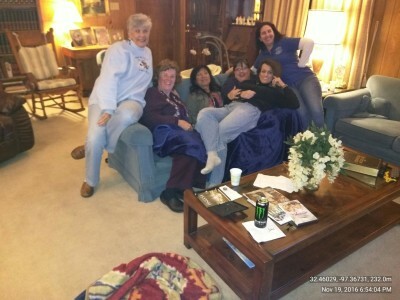 We took up the front row... Lisa W, Monica, Wally, Lisa F, Aileen H and Ann J. 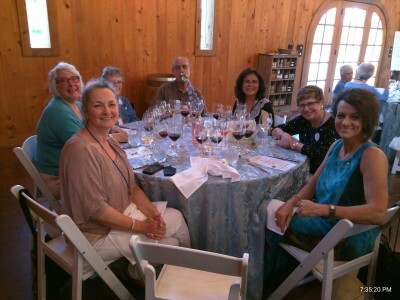 Dinner at the winery! A Special table for special people with special dietary needs... food was good! 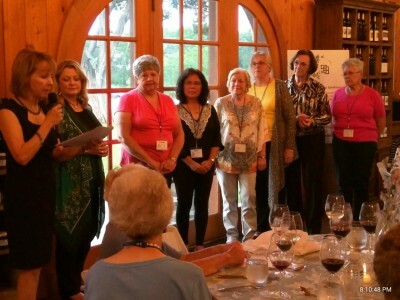 Banquet at the winery: Lisa F, Aileen H, Paty H, Lisa W, Monica, Wally and Ann J.
Julie and Monica have morning coffee out of "Fuel Up Before Fllght" coffee mugs designed by Monica. Chapter meeting held at TCCD Alliance including a tour of the facilities and Jackie Cockran's Beech 18, and ended with a safety seminar "Santa Teresa Conundrum" presented by Mike Montefusco, FAAST . Pictured: Wally, Mike M, and Monica. 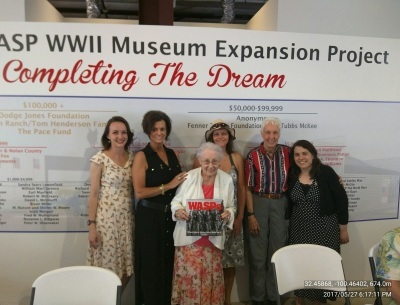 Day one FW Members : Blake Graham (Monica's husband and Friend of the 99 member), Monica Randolph-Graham and Joann McCorkle enjoying the painting scene. 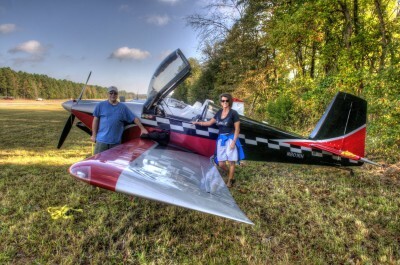 Monica & Husband Blake by their RV7 missed the Alliance Airshow this year to attend the largest Vans home-built aircraft fly-in in Arkansas. We stayed in the presidentail suite at Rockefeller Center. 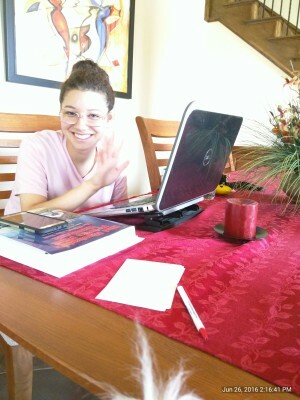 Jade working on Fly Now essay at mentor's (Monica). What fun!! 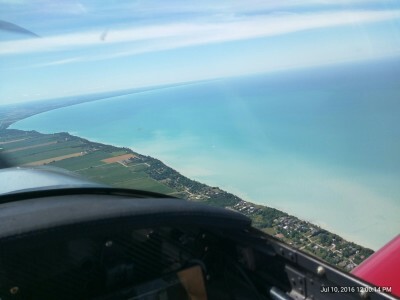 Monica and Blake traveling along beautiful Lake Huron in Canada waiting on our time to re-enter the US in Michigan....we did not want to chance a big fine (you have 15 minutes before/after your eta. or could cost you $5000,00). we had a 5 minutes sight seeing period. 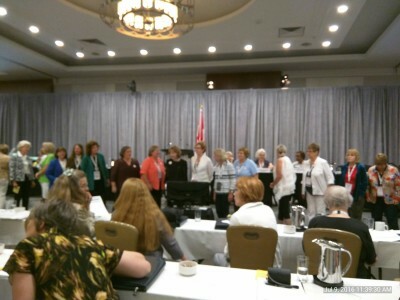 New President, Jam McKensie and other board members installed today!! What a great time being a part of this!! 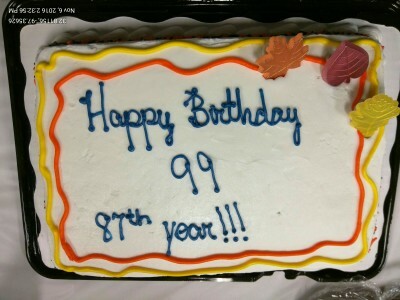 FW celebrated the 87th year anniversary (Nov 2) of the 99s with a cake at our fundraiser.... cake decorator left off the "s" after 99, so just remember 99 represents us as 1 united organization of women pilots! 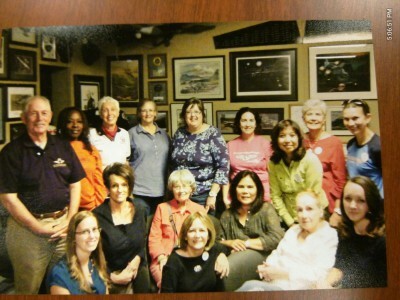 Jade, Cetekia, Aileen, back row: Sherita, Michelle, Carol, Linda, Terry Carbonell, International Director; Monica, Julie and Eva. !Great fun!! 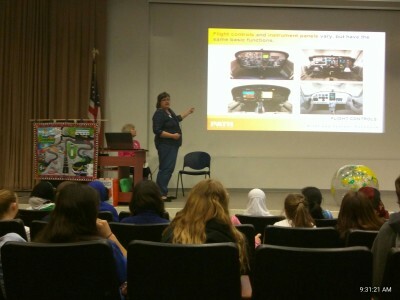 Our chapter patnered with Fort Worth Aviation Museum for our First STEM for Girls (age 12-17) with Ground School and speakers on 27th. Flight planning and Discovery Flights on 28th. We sold out quickly! 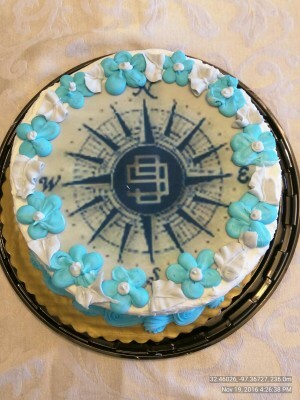 It was a SUCCESS!!! looking forward to our next event!!! 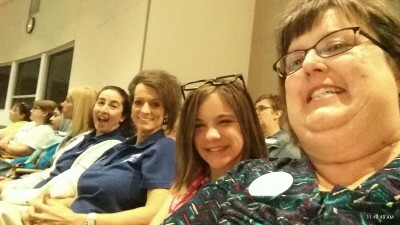 Julie and others listening to Pat Brown seminar Rusty Pilots. 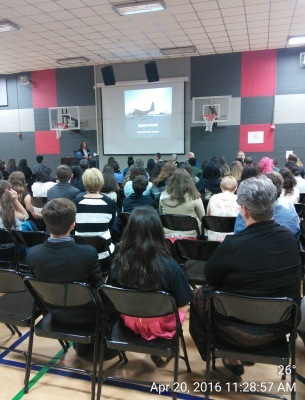 Great turnout and seminar!! 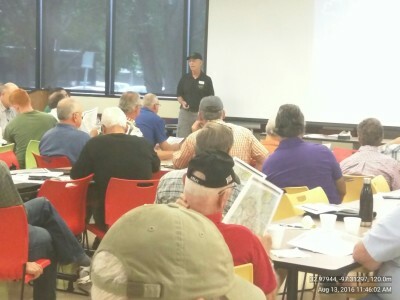 Pat brown, AOPA Texas Fly Now Ambassador presnets to a large group of Rusty Pilots at TCCD Alliance. 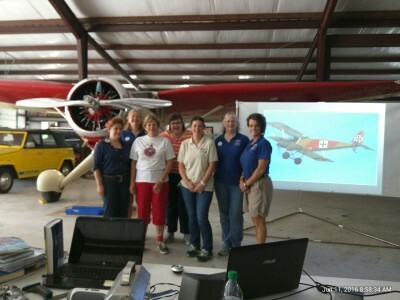 AOPA Fly Now Ambassador Pat Brown presented Rusty Pilot seminar to 100 attendees and How to Start a Fly Club to approximately 35 attendees. 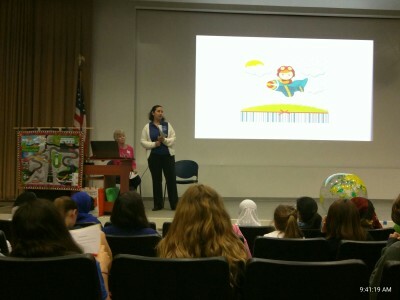 Chapter members: Monica, Jade, Lisa and Julie volunteered and made this event successful. 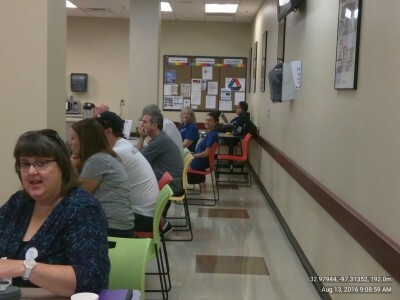 Pat Brown sitting to left in pic. 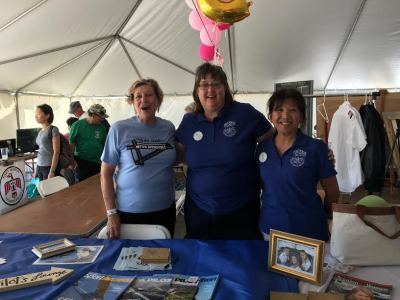 Monica coordinated and MC'd the event, Julie registered attendees, Jade helped in All area's and Lisa W. represented her flight school to sign up those Rusty Pilots for flight time. Way to go team!!!! 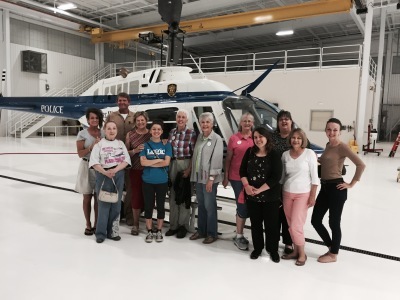 After Chapter meeting held at Texas Jet, members toured te FW police Aviation Dept hangar at Meacham. WOW. what a tour!!!! Made me wish I was a police helicopter pilot!! Ann and Allie take a moment for a picture. 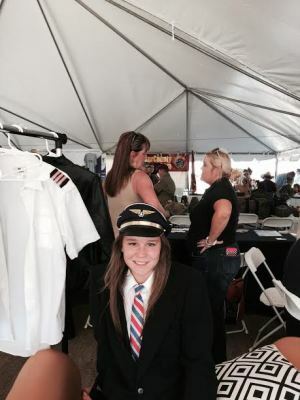 Future pilot Kinzie took advantage of the Pilots Lounge and got the feel of a of a commercial pilot's attire. How Great!! 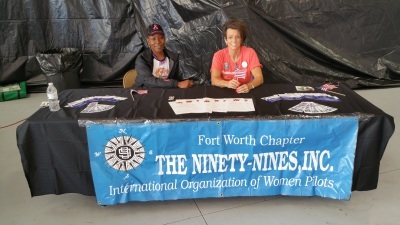 JoAnn and Lynn (her friend) take first shirt in the Discovery Zone at the Fort Worth 99 table. 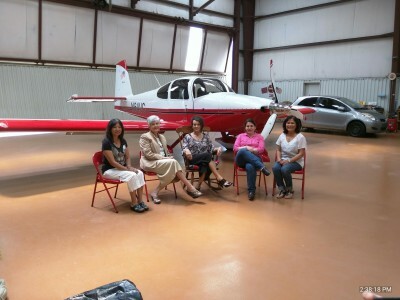 Thanks to Joann for coordinating and Laura Berr for setting up the "Pilot Lounge"! Outstanding !! 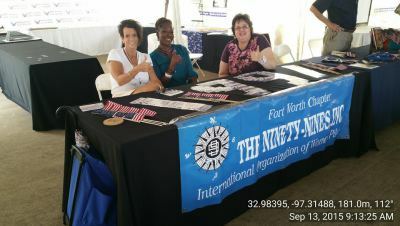 JoAnn and Wally stayed busy at the 99 table .... thousands of people at the event. Carol, Julie and Ann had a fun day talking to people but also keeping everything from blowing away in the wind!! 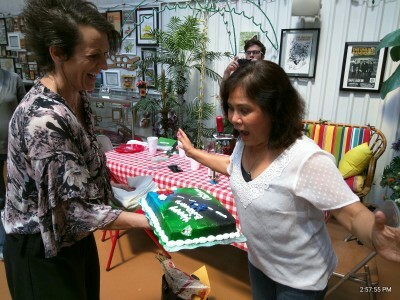 Monica (Vice Chair) presents Julie with Mexican Cake to celebrate her Fly Now award and completion of her Solo flight!! 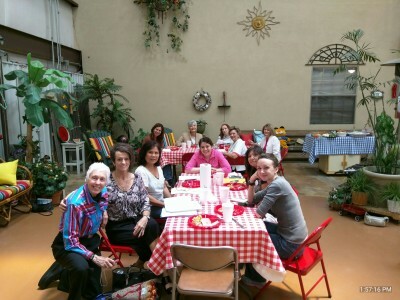 Nov19, 2016: Chater members Joann M, Dallas Chapter Chair Kay Allie, Angela C., Monica R-G, Julie C. and Carol L had great food (Thanks Joann! 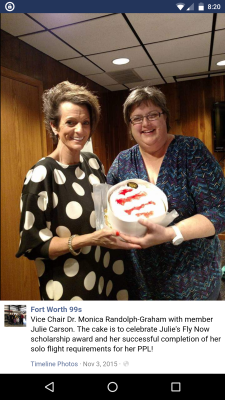 ), great cake (Thanks Carol) and great movie Amelia to celebrate FW Chapter Birthday (11/18/1957). 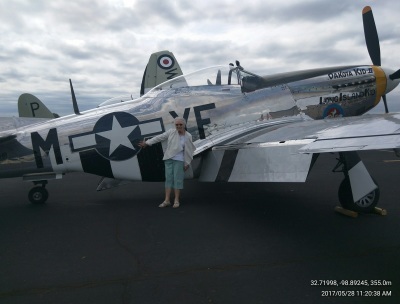 We also celebrated life of Bob Hoover watching "Flying The Feathered Edge. 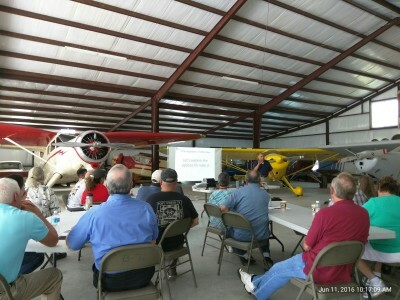 Monthly meeting includes: speakers or training/safety video's or visiting an aviation educational site, or a fly-out. 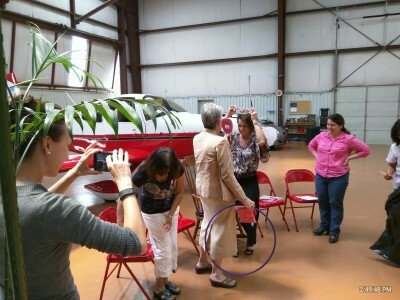 Our meeting are fun, motivational and educational all rolled into one! Come and enjoy! !